Is in search of New and experienced stylists to join our growing team. Whether you are a seasoned stylist or a contract hair designer or a new graduate we have a plan for you! Are you concerned about your career path? Have you recently graduated from cosmetology school, but don't feel quite ready to work behind the chair? We can help you develop the skills necessary to have a great career in a friendly environment. 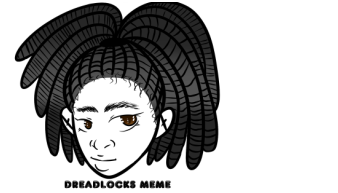 We are in need of an assistant to help our busy stylists by shampooing, applying braids and styling dreadlocks along with the general upkeep of the salon. Many opportunities for advancement. Must be available Morning some evenings and Saturday, and hold a current license or have at least 600 hours in cosmetology school. Education/ Training positions within our company. Performance-based pricing, commission and reward system. You will have client (s) to provide hair services. Marketing and advertising strategies for clientele development. Whether you are commission based or hourly base or an independent contractor, you are welcome to apply! 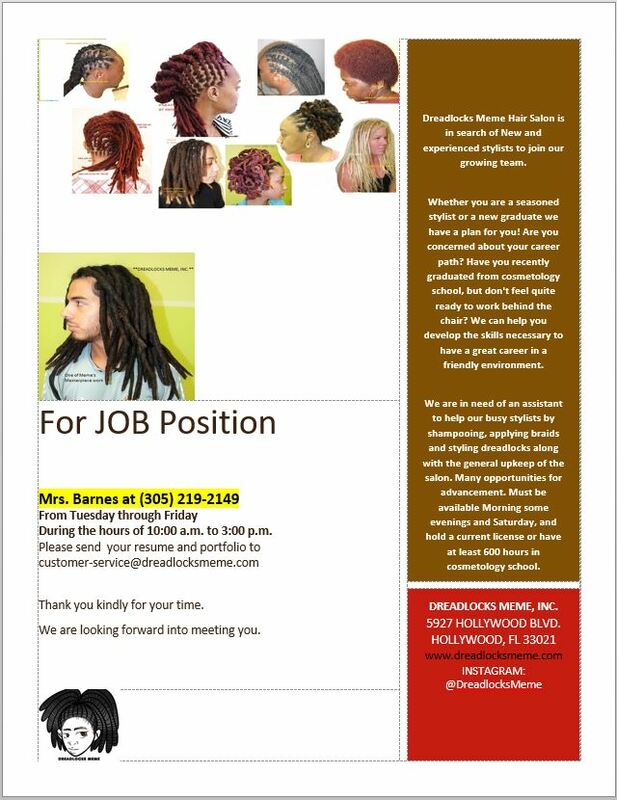 Entry level positions expected to perform natural hair cares must hold a license or have at least 600 hours. It is imperative that a resume and current photo be emailed along with a contact number in order to be considered for this position. We are looking forward into meeting you.